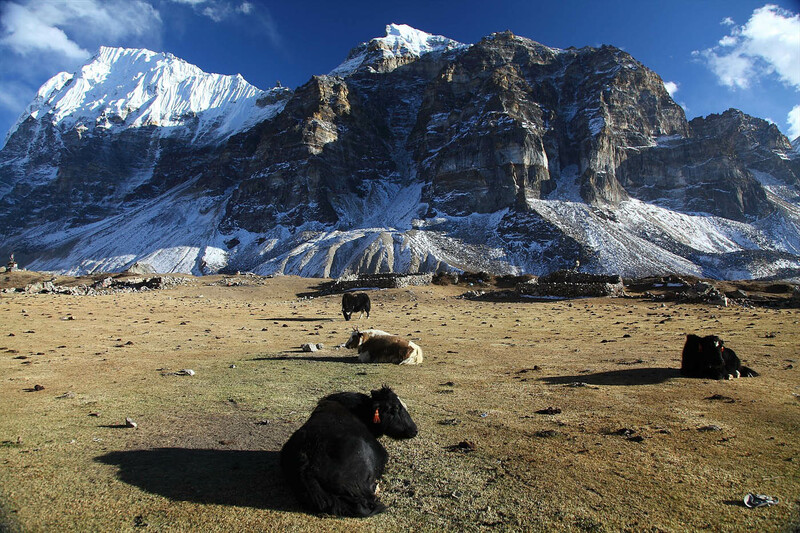 The Kanchenjunga base camp trek is a trekking adventure to one of the beautiful Himalayas of Nepal which is an untainted, remote and unspoiled region. 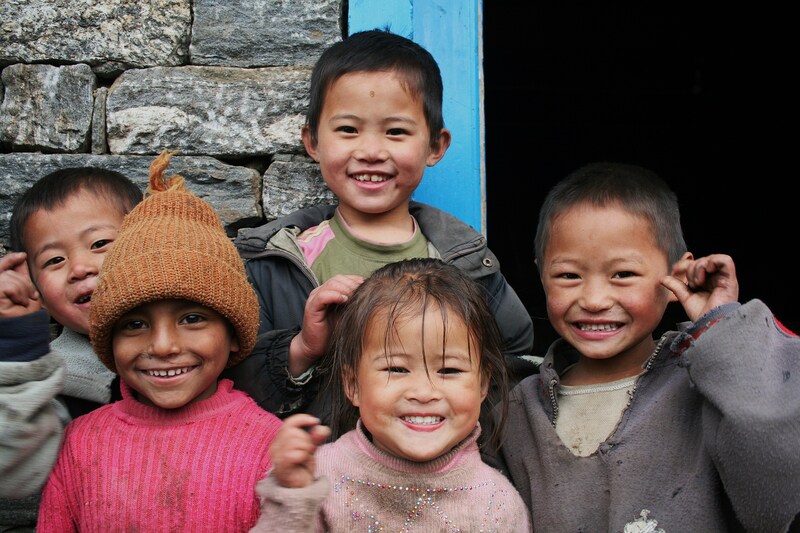 This trekking adventure takes the travelers to the far-eastern region of Nepal. The Kanchenjunga Himalaya is the third highest mountain of the world and is accessible from both Sikkim of India and Nepal. 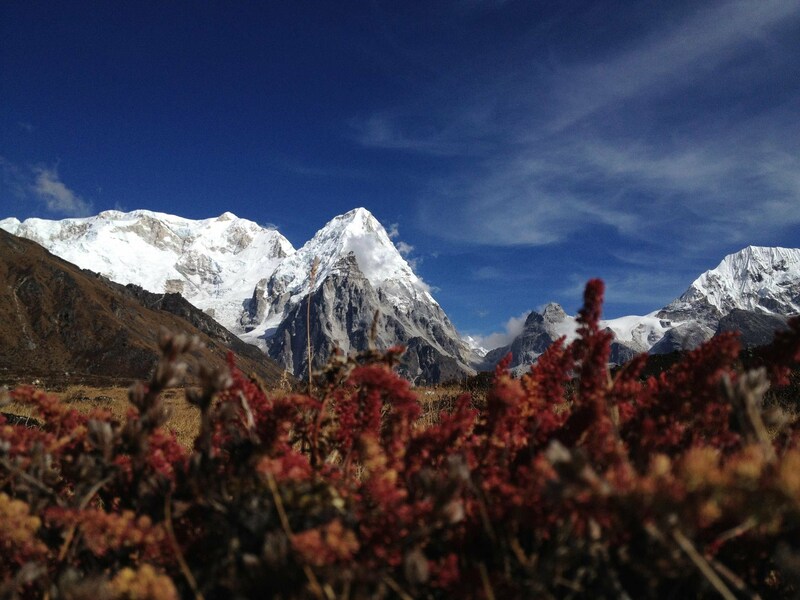 The trekking in Kanchenjunga region is to explore the tropical forests of rhododendron, oak and chestnut dominated by enchanting views of snow capped Himalayas, picturesque landscapes, lush mountains, subtropical lowlands, fascinating glacial plateau and traditional village settlements. 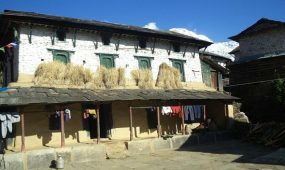 The traditional settlement of Limbus, Rai, Gurung, and Sherpa with their solitary culture, traditional and lifestyle are found in Kanchenjunga region. There are two Kanchenjunga base camp one is south Kanchenjunga base camp and other is north Kanchenjunga base camp which are covered by our single trekking route. The travelers take air-flight from Kathmandu to Bhadrapur and then they drive to Illam and Taplejung. The travelers starting trekking from Taplejung region traverse though different traditional villages like Mitlung, Chirawa, Lelep, Amjilessa, Gyabla, Ghunsa, Kambachen, Lhonk, and they finally land of North Base camp of Kanchenjunga of 5140meters which also called Pang Pema. The travelers then move towards south base camp traversing to different traditional villages like Kambachen, Ghunsa, Selele Kharka, Tseram, Ramche and finally land on South Kanchenjunga Base Camp of 4740 meters which also called Yalung glacier. The travelers then return back to Ramche Village and follow the new trekking trail passing through the traditional villages of Torantan, Yamphudin, Keswa, and finally land on Suketar village. The travelers take air-flight from Suketar to Kathmandu city. We complete our custom formalities at the Tribhuwan International Airport in Kathmandu. Afterwards, there is a Nepal Guide Info Team representative waiting for us at the gate who will take us to our hotel. We can then spend the rest of the day taking rest. In the evening, we get to try Nepalese cuisine at a welcome dinner hosted by Nepal Guide Info Team ( Nepal Planet Treks and expedition ). Overnight in Kathmandu. 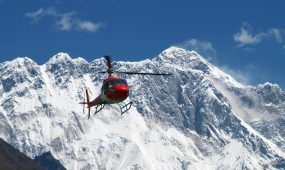 From Kathmandu we get an early morning flight to Suketar which is located in the eastern region of Nepal. thats day guide and Porters with you from Nepal guide info team It is a simultaneous ascent and descent on a trail that mostly passes through lush green forests all the way to Lalikharkha. Our Kanchenjunga Circuit Trek ends today. We can take a much needed break after reaching Suketar. We continue our walk on the Pathibhara Trek trail. We can spend the whole day taking rest, packing and souvenir shopping for loved ones. We can even visit anywhere we like in Kathmandu. There will be a farewell dinner hosted by Nepal Guide Info team ( Nepal Planet Treks and expedition ) in the evening to celebrate the successful completion of our Kanchenjunga Circuit Trek. Overnight in Kathmandu. The following basic checklist should help you with your packing for any of our trips. Please remember that you should always try to keep the weight of your clothing equipment down to a minimum. Your packed trek bag, should weigh no more than 16 kilograms (34 pounds.) Please remember this is just a checklist and you do not necessarily need to bring everything that is listed below. Use your own experience and judgment to make your decision. Kanchenjunga(8,586m) is the third highest peak in the World. This is the one of the unexplored and virgin trekking route locating at the eastern part of Nepal. 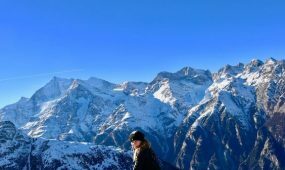 Trekking in Kanchenjunga is really pleasing trail that offers us wonderful snow-capped mountains, Landscape and exotic scenic view of the Himalayas. You can enjoy different types of small and high snowy peak above 8,000 m and below 8,000m popular peaks such as Mt. Everest (8,848m), Mt.Makalu (8,201m) and Mt. 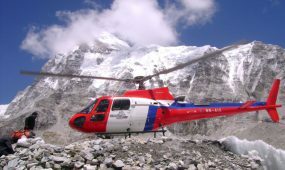 Lhotse (8,516m) etc. 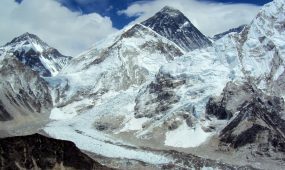 Kanchenjunga Trekking route can be use from Nepal and Sikkim side too, where we can find many mysterious stories concerning on Himalayan Yeti, the abdominal snowman is believed to be found in this region. Kanchenjunga trek is a special and unforgettable destination among the trekkers because of its landscape, an amazing topography of land. We can see massive wildlife during the trekking such as snow Leopard, Musk deer, Red Panda many more. Kanchenjunga Trekking trail has more exciting and challenging daredevil and popular organizing trip to situated in the Kanchenjunga Conservation Area which is spread over 2,035m sq km from enrich in wildlife diversities also many threatened species of birds such as Impedance Pheasant, Red –Billed blue Magpie, Shy Dragon, Amphibian and Mammals are found in this region and preserved including Snow-leopard, Himalayan black Bear, Musk Deer, Red Panda etc. 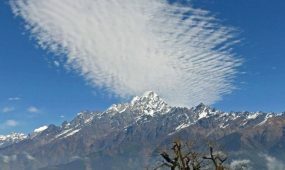 While, Passing along this trekking trail will provide us to observe the remarkable valleys with their an amazing culture, traditions of the local inhabitants, magnificent views of the frozen lake crystal clear stream, Okthan glacier, an amazing ascend of Rathong and Kabru , glacial excursion around Ramche etc are the best point view of the Kanchenjunga trekking trail. Our journey toward the Kanchenjunga will be start from Katmandu to suketar , Taplejung by Domestic Airlines, then we moves throughout different places such as the forest including rhododendron covered ridge to Lali-Kharka(2,220m)-Keswa(2,100m)-Mamanke(2,000m) above the sea level then pass along Yamphudin(1,650m) to trek towards Lamite Bhanjying,Torotan, Tseram(3,750m), Ramche(4,360m), Mirgin- La (4,663m) across Gunsa(3,475m), Kyapra, move down to Sakathum(1,600m) then finally descend to Phurumbo then back to Taplejung-Suketar(2,300m). In this way we will end our memorable and daredevil trek of Kanchenjunga.